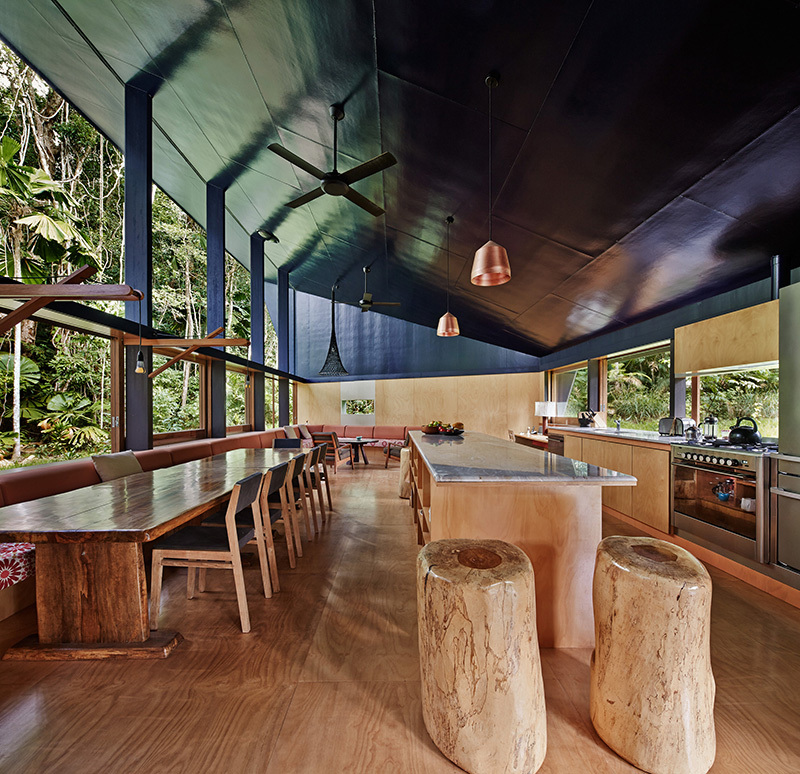 m3architecture have designed this Cape Tribulation home, located within the Daintree Rainforest, in Queensland, Australia. 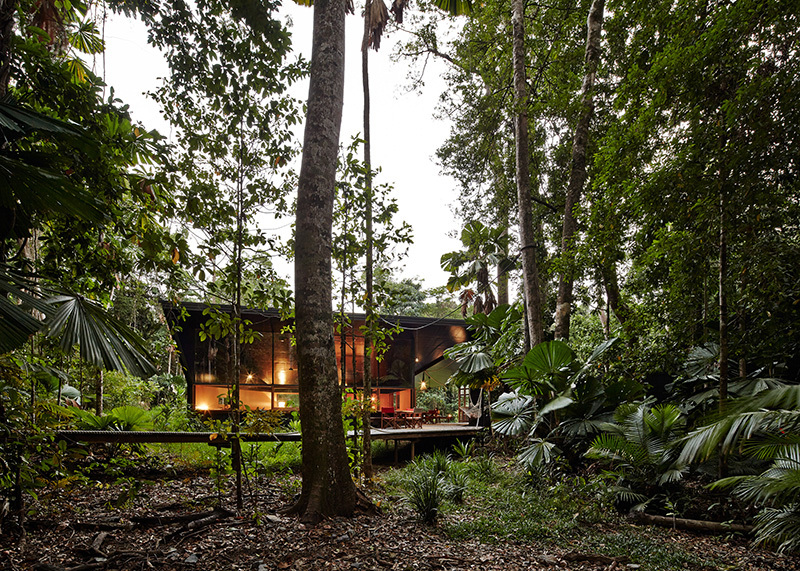 Due to the sensitive nature of the surrounding eco-system, the home was built in a naturally occurring clearing, which meant that no mature trees were removed from the site. 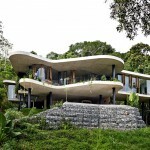 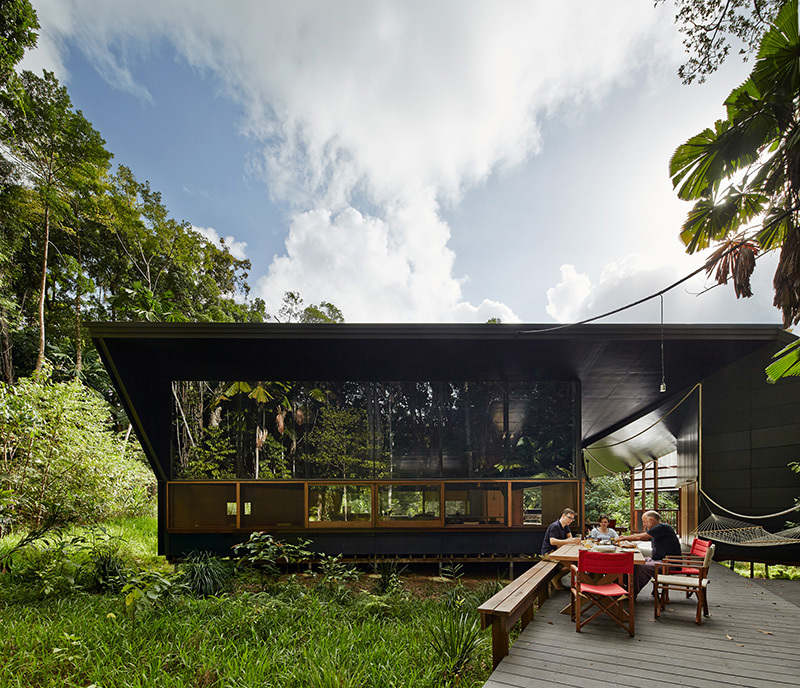 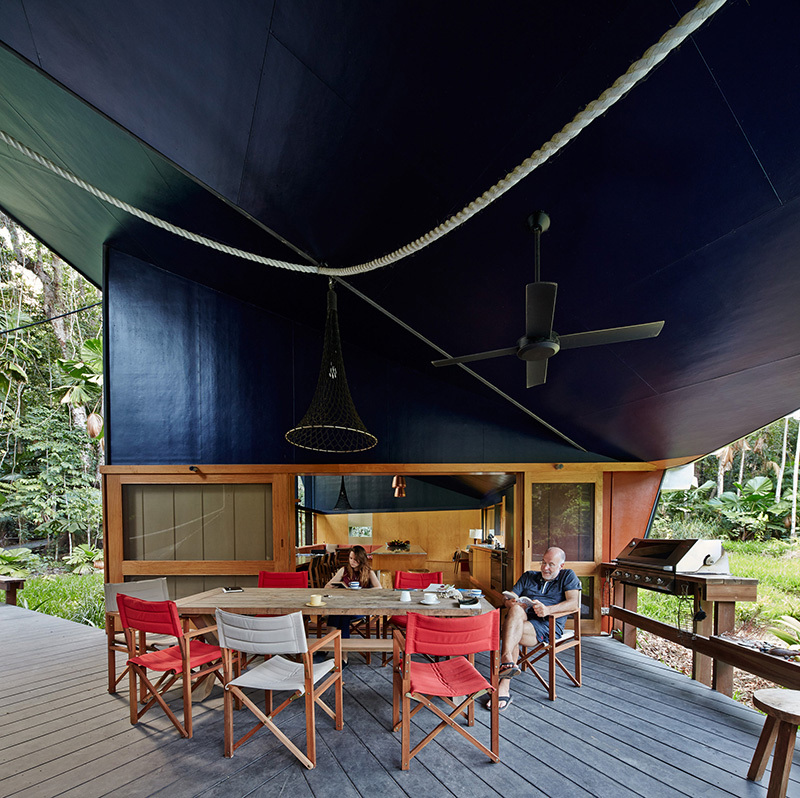 The exterior of the home is camouflaged with black plastic cladding and mirrored glass, allowing it to recede into the shadow of the rainforest canopy. 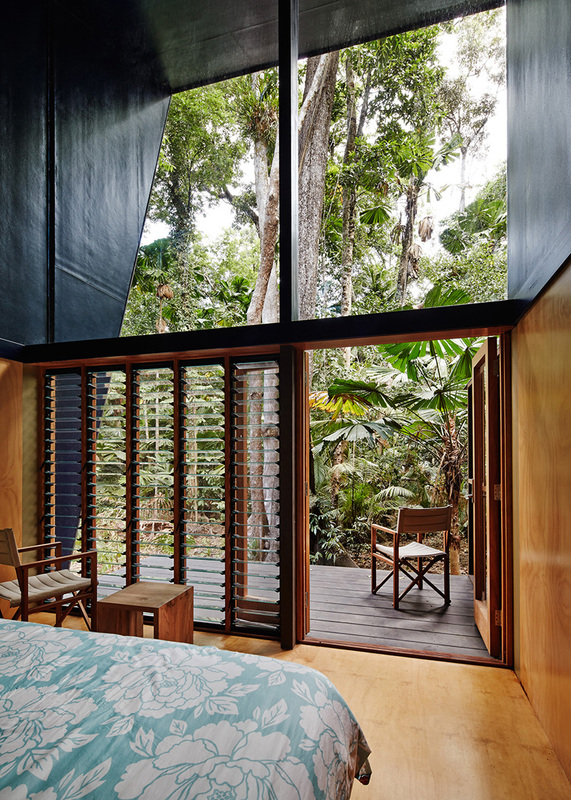 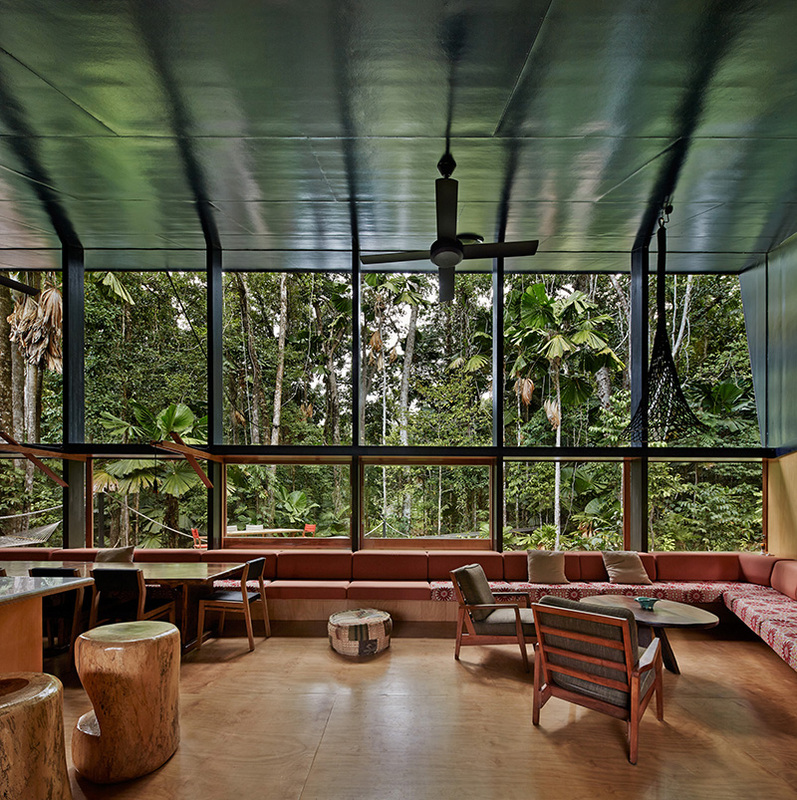 The interior has been kept light with the space clad with plywood, that opens out to the rainforest surrounds, and engages the canopy through tall south-facing windows. 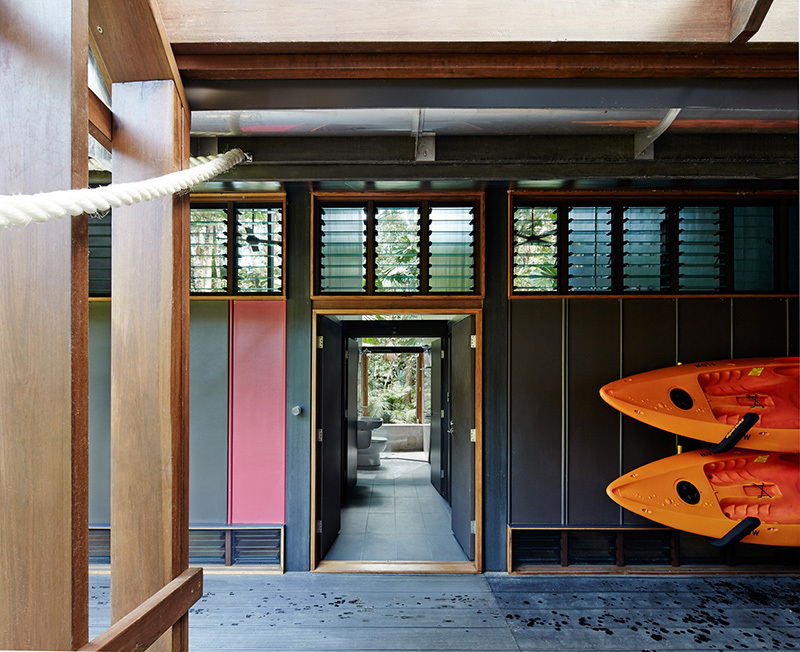 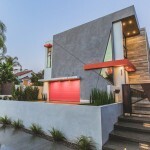 The house is naturally ventilated, assisted by ceiling fans, and all appliances and fixtures are energy efficient. 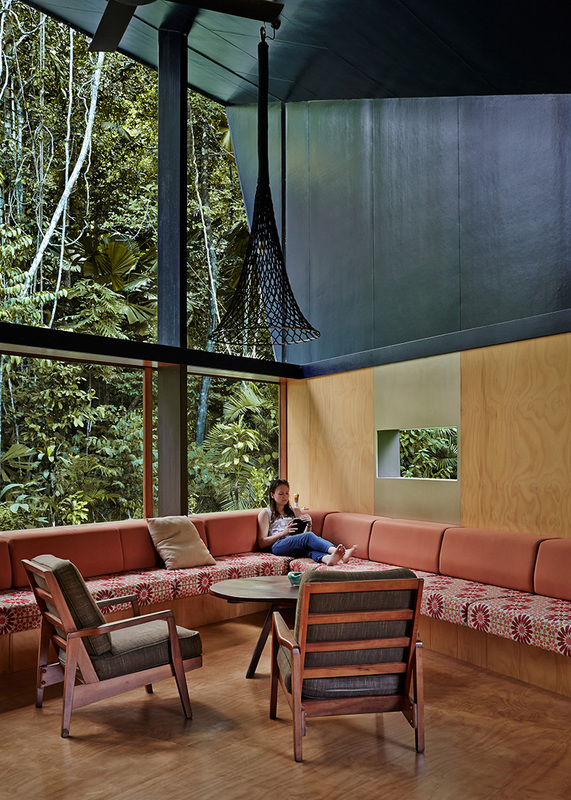 Built-in seating makes full use of the interior space. 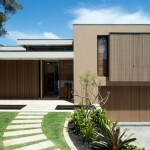 A white rope that winds through the property, shows people the way to the various sections of the property. 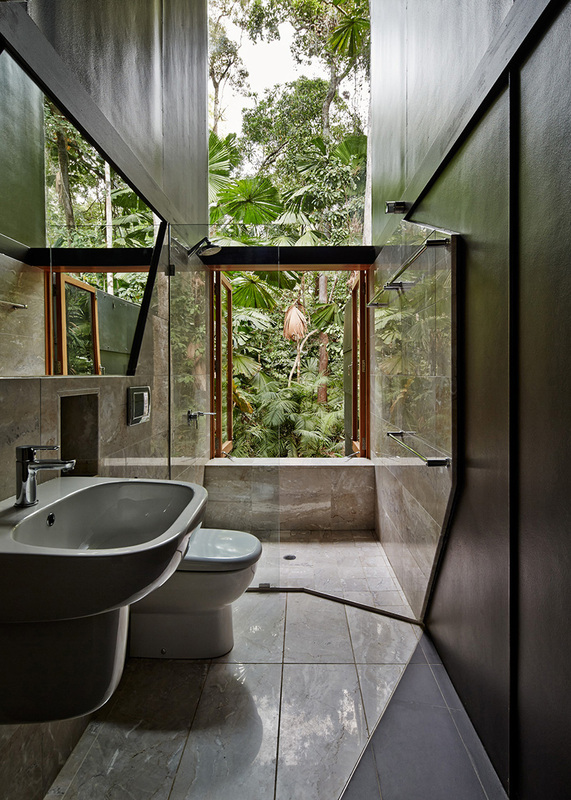 The bathroom has a full view of the rainforest. 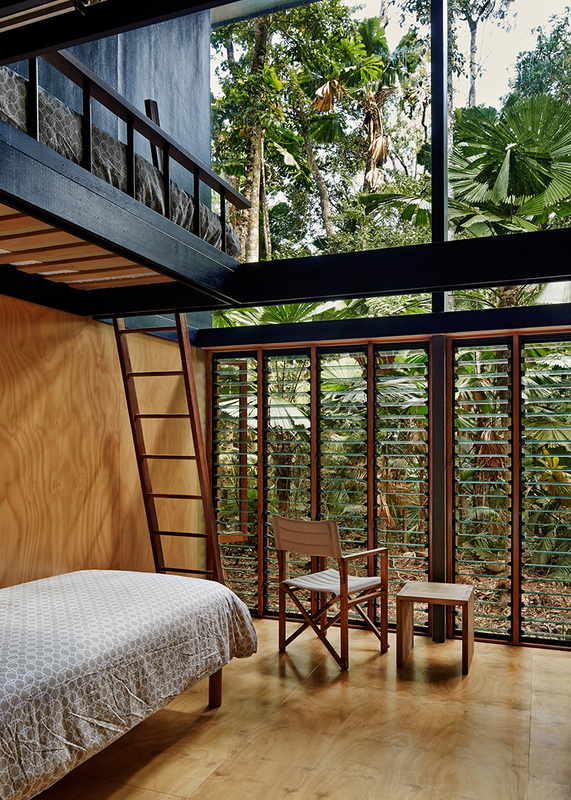 Various bedrooms accommodate multiple sleeping arrangements.